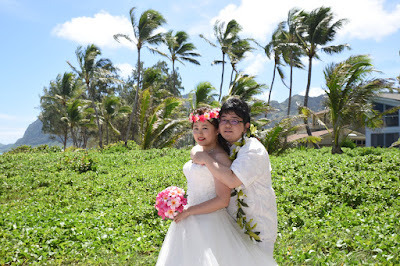 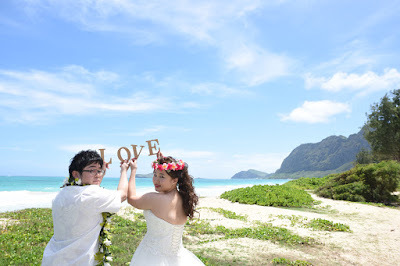 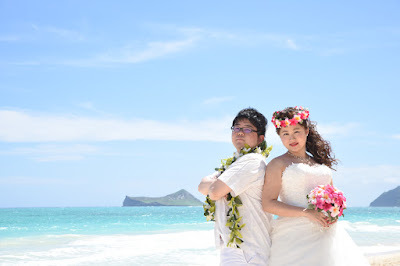 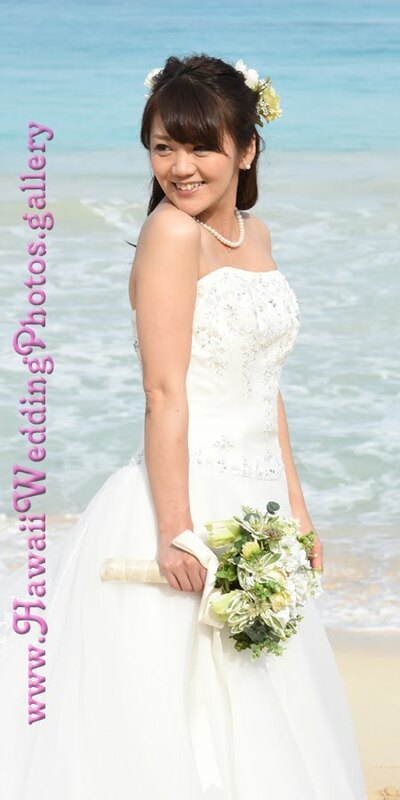 Bride and Groom pose for their Hawaii wedding photos at Waimanalo Bay in East Oahu. Beautiful "Rabbit Island" is seen in the background. You know you're in Waimanalo when you see this sight. Row of coconut trees makes a nice tropical setting.